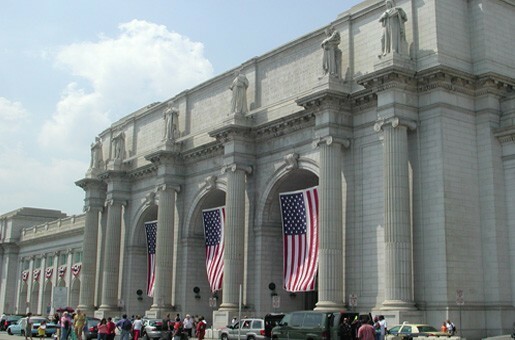 The parking expansion project led by the Union Station Redevelopment Corporation (USRC) was intended to nearly double the parking facility’s original capacity. The new addition was built into the existing structure and both were expected to work together to provide reliable parking to users for the next 60 years to come. The key issue; the existing structure was over 30 years old! Numerous repairs to areas most heavily used had been conducted in the last few years and it was concluded that at this rate, it would probably extend to less used areas in the very near future. Once major repairs, due to corrosion damage, are necessary in an area of the parking structure, the problem tends to propagate throughout the structure ultimately requiring important investments in costly repairs. It was therefore necessary to implement efficient repair and maintenance strategies so that the existing structure would reach a service life equal to the new addition’s 60-year service-life objective. SIMCO’s concrete durability experts were hired to assess the current condition of the existing structure and provide recommendations for the most cost-effective maintenance and rehabilitation strategies to attain the expected 60-year service life. SIMCO’s scope of work was to provide a comprehensive assessment of the deterioration affecting the existing parking’s structural elements. 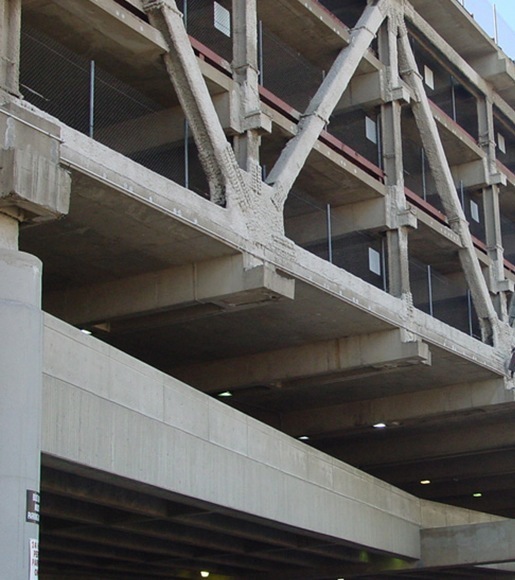 More specifically, SIMCO was to fully characterize the mechanical and durability properties of reinforced concrete, measure the depth of contamination by chlorides (originating from de-icing operations), identify other contaminants and assess the nature and extent of the corrosion damage affecting the existing parking structure. SIMCO first reviewed the documentation pertaining to the parking facility which included details on various aspects of the structure. 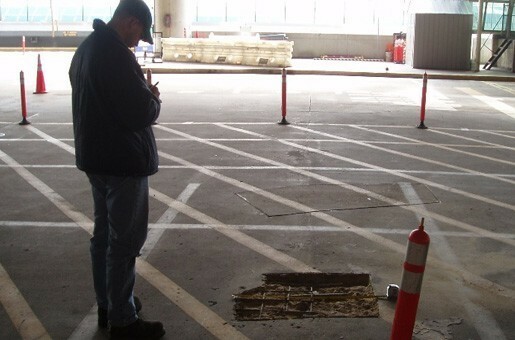 SIMCO then proceeded with a complete visual inspection followed by a series of field and laboratory tests to determine the concrete properties, and levels of contamination affecting the parking structure. Data provided by these tests were used to perform service-life predictions using SIMCO’s STADIUM® numerical modeling tool. This finite-element software was used to perform numerical simulations to estimate the time required to initiate reinforcing steel corrosion for each of the different areas of the structure. Petrographic examinations performed and observations by optical and scanning-electron microscopy also allowed SIMCO’s engineers to identify the depth of carbonation to conclude that the concrete was not affected by alkali-silica reaction (ASR) and delayed ettringite formation (DEF). A complete report was provided detailing the condition assessment and extensive analyses conducted to determine the causes of the deterioration problems identified. The most cost-effective maintenance and repair options were identified and run through a lifecycle cost analysis to determine the most cost-effective rehabilitation options to extend the service life by 60 years. An estimate of associated potential costs relating to repairs needed was also provided. STADIUM numerical modeling tool was used to perform simulations to estimate the time to reinforcing steel corrosion for each of the different areas of the structure.